Capacity.. 2 800 000 litres. The distillery was founded in 1798 by John Steward and Robert Robertson, originally named ‘Aldour’, after the Allt Dour burn the distillery draws it water from, but closed soon after opening. The distillery opened again and changed ownership to John Robertson in 1825. It was sold several times in the period after, going from John Robertson to Alexander Conacher & Co., then to John Conacher & Co, which was inherited by Elizabeth Conacher in 1860. It was sold again to Peter Fraser & Co, and again again to Peter Mackenzie of P. McKenzie & Co Distillers Limited in 1882. The distillery closed down in 1932. 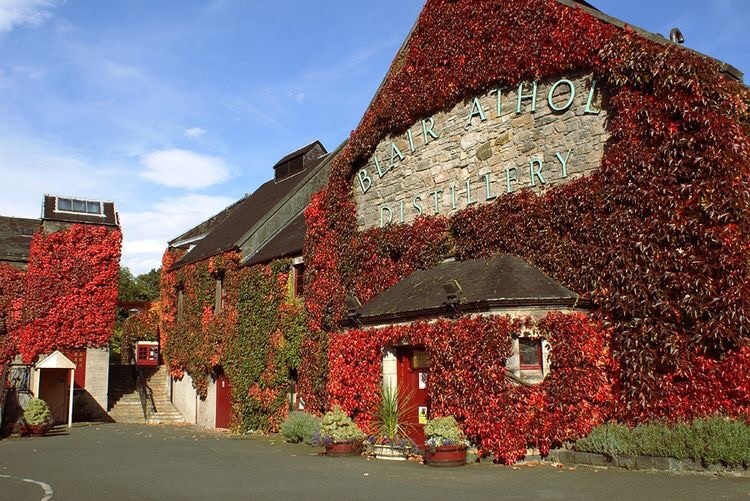 The mothballed distillery was bought by Arthur Bell and Sons, but didn’t open again until it was rebuilt in 1949. In 1973 the distillery expanded, adding two stills to the existing two.